Mrs. Marilyn Mae Doland, 94, of Elkhart, passed away peacefully of natural causes at her home on Wednesday, Apr. 3, 2019 at 6:50 am. She was born in Elkhart on July 30, 1924 to the late Owen and Wilma (Leicester) Davis and is also preceded in death by her spouses Roland “Pork” Dickerhoff and George Doland. Surviving are children Craig (Margaret) Dickerhoff, Linda (John) Ring, Beth (Jerry) Swinehart and Timothy Doland; 6 grandchildren and 7 great grandchildren. A celebration of Marilyn’s life will be held at Billings Funeral Home and Cremation Services of Elkhart on Monday, Apr. 8, 2019 at 1:00 pm, with visitation beginning at 11 am. Pastor Dave Klahr of New Creation Fellowship of Granger will officiate and burial will follow at Chapel Hill Memorial Gardens. Marilyn retired from Hudson Medical Group after being a records keeper there for over 18 years but remained active the rest of her life. 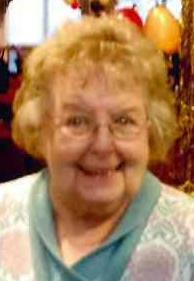 She was an avid cat lover and enjoyed playing bridge, baking cookies, gardening and tending to her flowers and operating her small homemade crafts business “Crafts In The Dust”. She also belonged to the local chapters of the YMCA, Women of the Moose, Beta Sigma Phi Sorority and the Order of the Eastern Star.